A significant part of our time in Patna was hearing stories from several women church leaders. “N” became a believer and began growing in her faith through a dream she had about her sister-in-law becoming pregnant. Her sister-in-law did give birth after years of not conceiving. “N” is now a key leader including leading worship. Her sweet, Spirit-filled disposition and tears telling the story gives hope in a God who is so personal. He knows how to get a persons’ attention to help them come to Him in faith. “N” is someone I will regularly pray for. We had the opportunity to meet Rohit in the slums of Delhi. 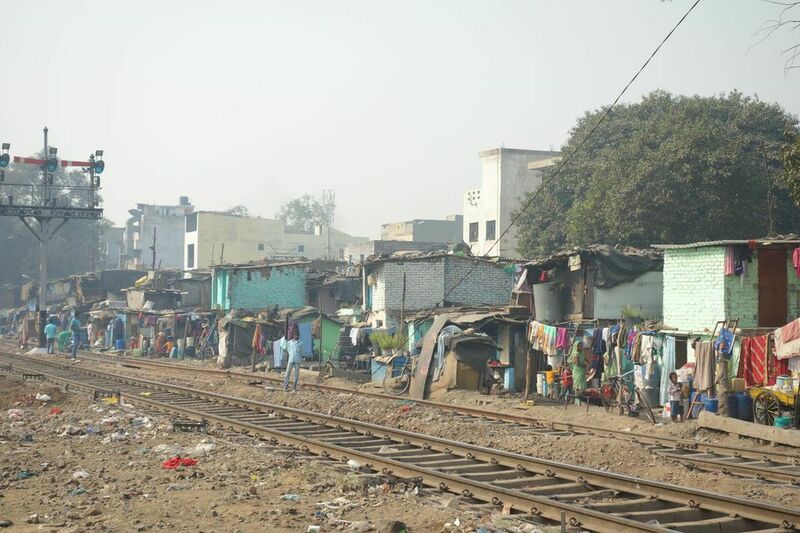 The slums of New Delhi run for miles and miles along the railroad tracks. The land is owned by the government and the people who live in the slums are actually squatters. One website estimates that 52-65 million people live in the slums of India, around 1.8 million in New Delhi. In the slums, there is no sewer system. Goats, cows and pigs wander aimlessly through. There are no trash receptacles. For many, there is no running water. There is approximately one well for every 100,000 people. People living in the slums are living there because their families have always lived there. They are the lowest caste of citizens and are not even counted among population counts because they are considered “untouchables.” Some of them do have jobs, but they are generally uneducated and unable to pull themselves out of their living conditions. Many do not enroll children in school because they do not know how to fill out paperwork. We had the opportunity to visit a Community Learning Center that our mission partners, ASSI, established in the middle of the slums in New Delhi. When we were heading there, I assumed I would be overwhelmed by sadness. But, my experience was exactly the opposite. We were greeted with warmth and joy! The children who are going to the Learning Center are so excited to have the opportunity to learn. They are learning to read and write. They are singing songs! They are learning about health and sanitation. They are taking the things they learn home with them and teaching their children. Rohit is the teacher at the Learning Center. He grew up in the slums. He has never lived any other place. But someone told him about Christ. Someone cared enough to share with him the love of Christ with him and he made a decision to serve the Lord by serving at the Learning Center. Now Rohit lives in the Learning Center. His home is an 8×10 room. This room is his bedroom, his living room, his kitchen and his classroom. It has no windows and no front door. He shares his home with nine children. Ten of them are living in this tiny space. Besides working as the Learning Center teacher, he just landed a job at the airport as a cashier. 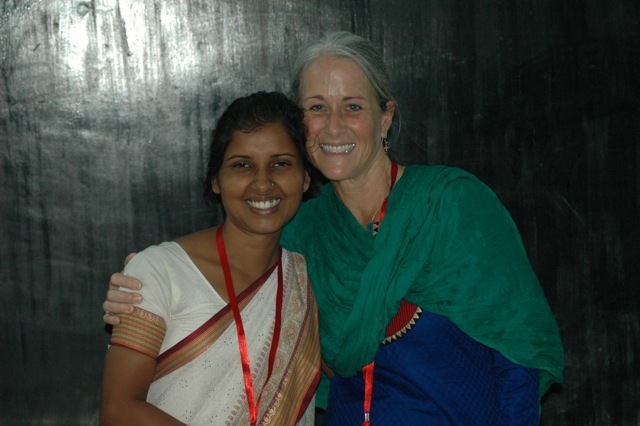 Connie Crum had the sweet privilege of praying for Rohit. He’s making a huge impact. We pray that we blessed Rohit with encouragement.